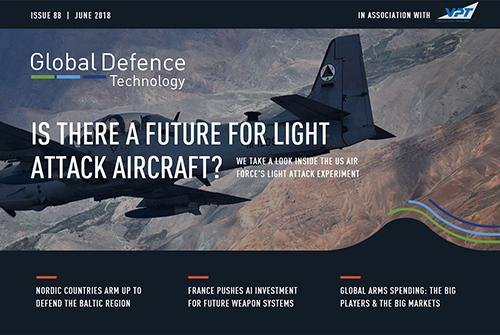 In this issue: Nordic countries arm to defend the Baltic region, inside the US Air Force’s light attack aircraft experiment, France's pushes AI investment for future weapon systems, and more. 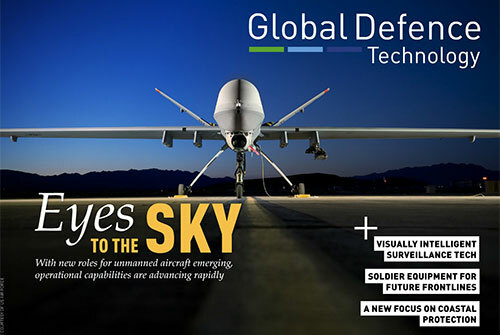 In this issue: The evolution of electronic warfare, the race to integrate cyber and electronic warfare, airborne surveillance takes new heights with GlobalEye, and more. 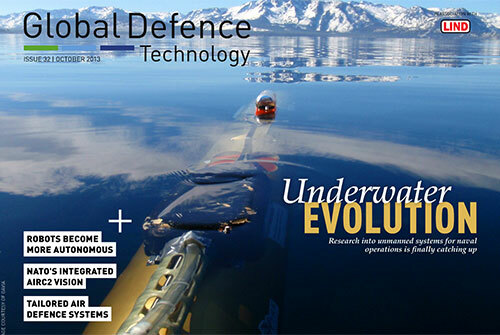 In this issue: DARPA’s prototype unmanned submarine hunter, the Northrop Grumman/ATK deal, Hewlett Packard’s new supercomputers for the US Air Force Research Laboratory, and more. 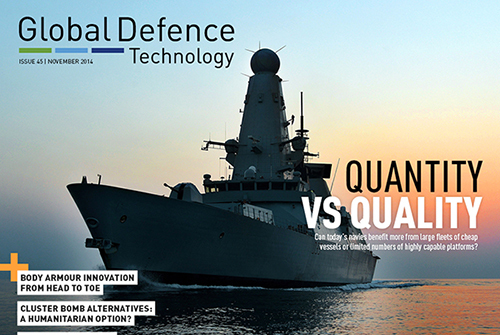 In this issue: Training the Royal Marines for CBRN threats, inside the Sky Sabre missile defence system, contenders for the US Navy’s future Guided Missile Frigate, and more. 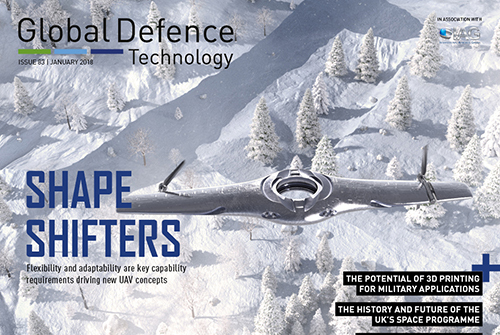 In this issue: New flexible UAV designs, applications for 3D printing, a look inside the UK’s space programme, the future of Fincantieri and Naval Group, the US Navy’s green fleet efforts and more. 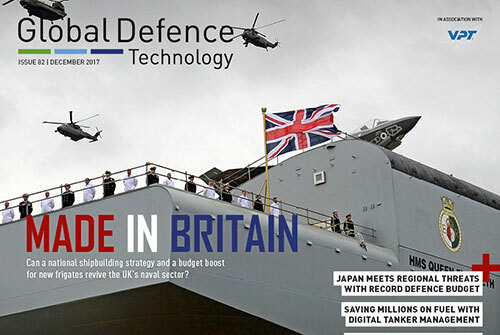 In this issue: Japan’s record defence budget, cybersecurity insights from Airbus, medical equipment for the frontline, saving fuel costs with digital tanker management, the UK’s shipbuilding renaissance and more. 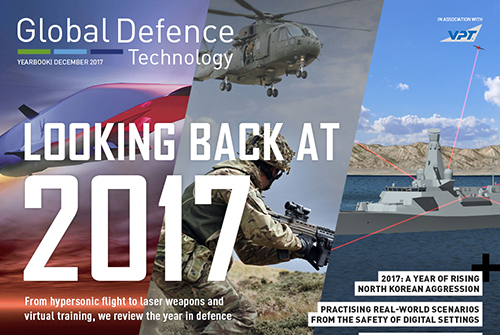 In this special issue we take a look back at the biggest stories, news and technological developments of the past year. 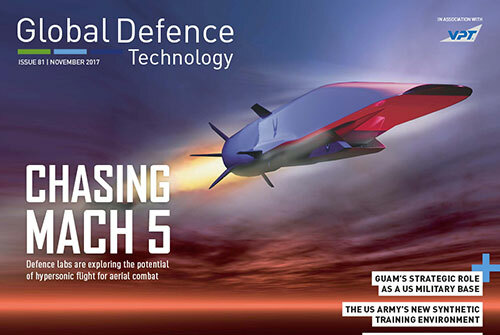 In this issue: The potential of hypersonic flight for aerial combat, the US Army’s Synthetic Training Environment, AI-equipped drones for airfield repairs, the Patriot missile system’s role in Korea, Guam’s strategic importance for the US, and more. 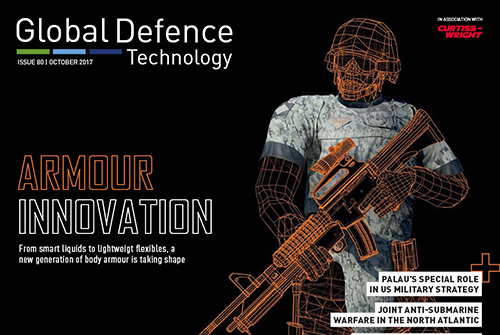 In this issue: Trends in soldier armour, Palau’s place in US military strategy, trans-Atlantic cooperation on anti-submarine warfare, the Royal Navy’s Type 26 frigates, 3D printing for naval replacement parts, new treatments for PTSD and more. 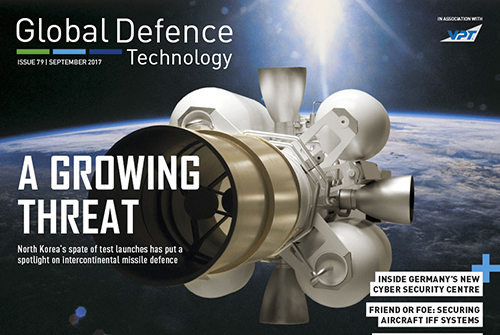 In this issue: The race to perfect intercontinental missile interception, Germany’s new cyber security centre, Dutch defence upgrades, secure IFF equipment for aircraft, new rules for space warfare, cybersecurity concerns over Trident, naval construction logistics and more. 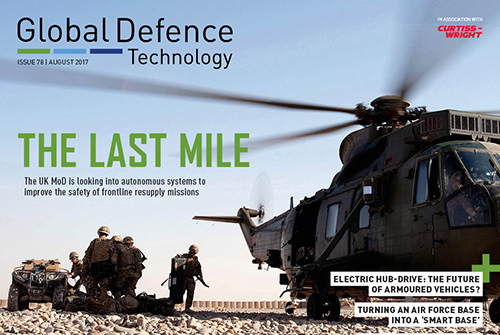 In this issue: Autonomous systems for frontline resupply, electric hub-drive technology for armoured vehicles, the F-35’s arrival in Europe, how to turn an air force base into a ‘smart base’, the future of littoral warfare and more. 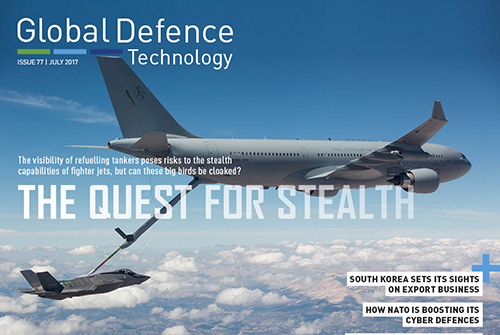 In this issue: South Korea’s defence strategy, NATO’s cyber security upgrades, the future of Scotland’s military bases, stealth solutions for refuelling tankers, new research into supercavitating torpedoes and more. 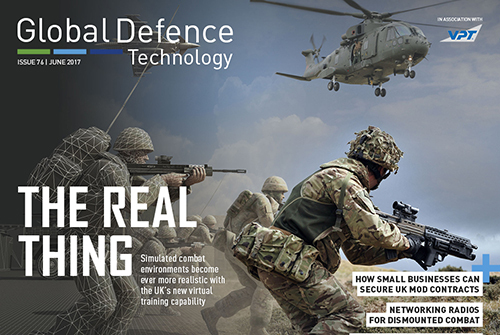 In this issue: The UK’s new virtual training capability, how small businesses can secure MoD contracts, benefits of networking radios for dismounted combat, contenders for the US Marine Corps’ Amphibious Combat Vehicle, improving MRO availability with augmented reality tech, and more. 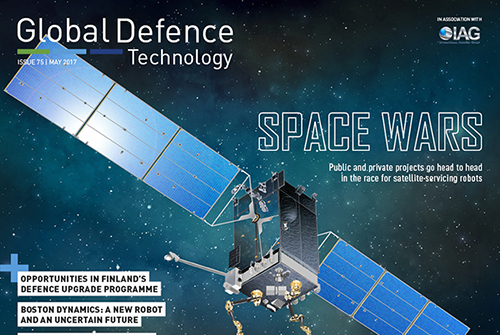 In this issue: The race for satellite servicing robots in the US, Finland’s defence upgrades, replacing the Royal Navy’s Harpoon missiles, why NATO must adapt to survive, and more. 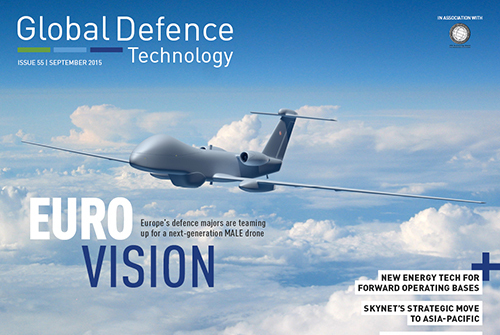 In this issue: Plans for the new EU army, BAE Systems on cyber security skills, innovation in explosive trace detection, Airbus’ high-altitude pseudo-satellite, the UK’s $1bn deal for US-built Predator B aircraft, piracy in Somalia after Operation Ocean Shield, and more. 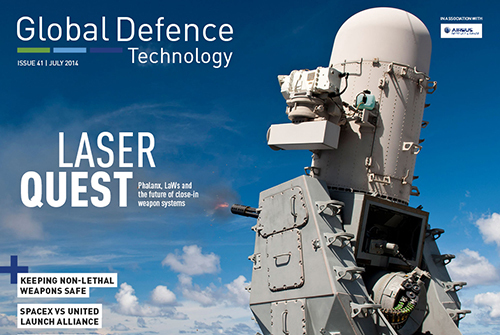 In this issue: The UK’s laser weapons project, US defence under Trump, industry trends for the year ahead, the challenges of maintaining effective land forces, new energy ideas for operating bases, a lesson in air readiness with NATO, and more. 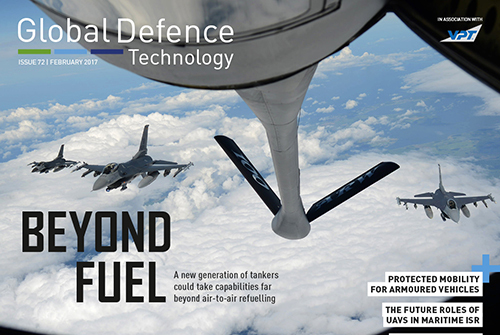 In this issue: New capabilities in air-to-air refuelling, a look at NATO’s new comms system, trends in protected mobility for armoured vehicles, the world’s first explosives sniffer drone, the future of UAVs in maritime ISR, closing capability gaps in the Royal Navy, and more. 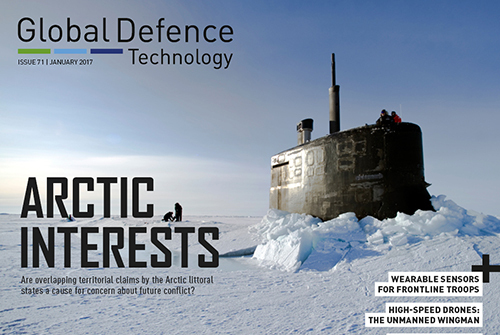 Keeping the peace in the Arctic region, a new satellite service from Airbus, closing the GPS gap with wearable sensors, instant detection for armour damage, high-speed drones for fighter aircraft support, progress of Australia’s new submarines, and more. 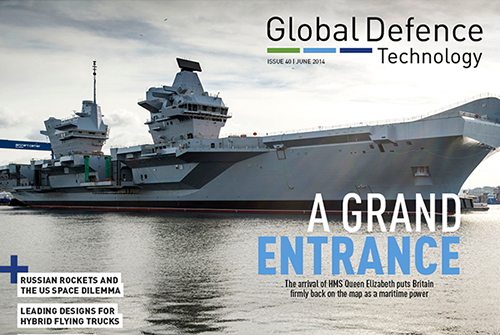 In this issue: The tanks of tomorrow, unmanned technology and the frontline soldier, Rolls-Royce speaks out about UK budget policy, a new marketplace for surplus equipment, solving engineering problems on the Littoral Combat Ships, and more. 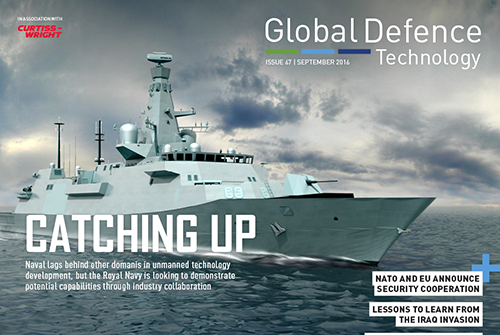 In this issue: Could Russia gain a technological edge over Britain? 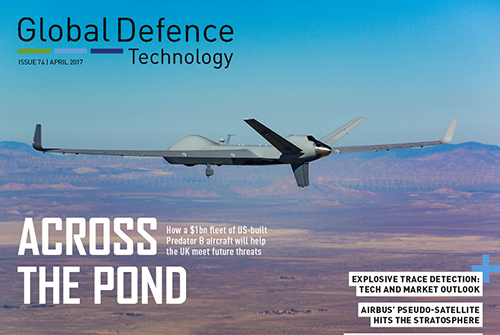 Plus: the benefits of base sharing, protecting GPS guided weapons from spoofing, the next step in electric vehicles, contenders for the T-X jet trainer programme, and more. 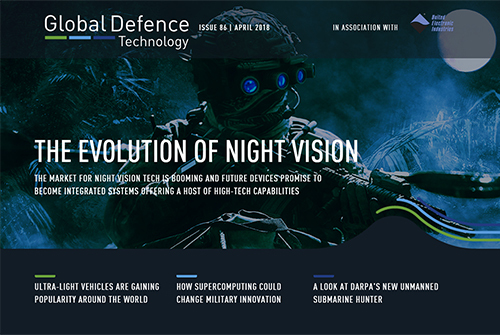 In this issue: The tech behind exercise Unmanned Warrior, trends in the world’s nuclear arsenals, Germany’s ambitious defence plans, spider silk armour for the US Army, the RAF’s future air capabilities, new trouble with Gerald R. Ford, and more. 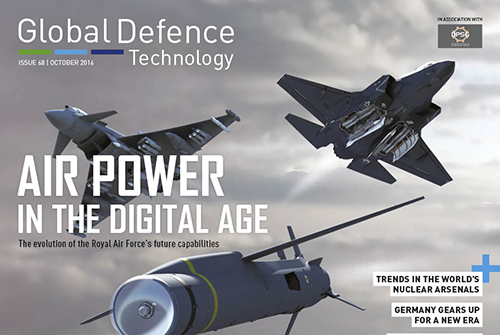 In this issue: Key outcomes from this year’s NATO summit, lessons to be from the Iraq invasion, managing the MoD’s joint contingency plans, industry majors team up for the UK’s new fighter trainer, the Royal Navy catches up with unmanned capabilities and more. 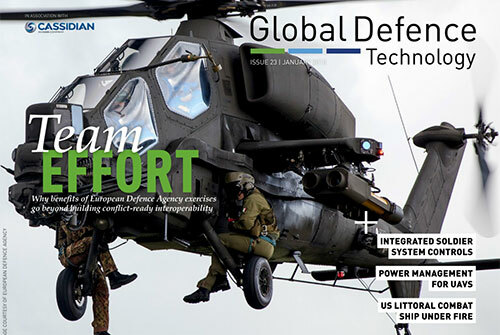 In this issue: The potential of a joint European force, Singapore’s defence procurement, Oshkosh’s TerraMax technology, the US Combat Rescue Helicopter programme, evolution of the Gripen E, Archerfish mine-hunting drone and more. 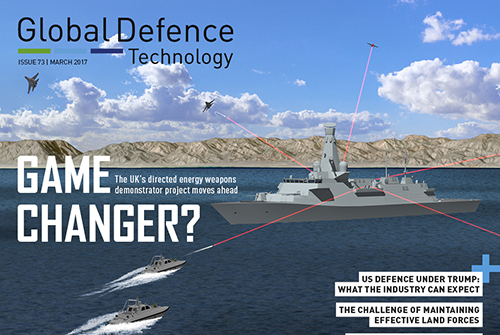 In this issue: Project CameraShy and Chinese cyber espionage, Nordic defence cooperation, lightweight vehicle armour, SpaceX challenges the United Launch Alliance, overhauling the UK’s Type 45 destroyers and more. 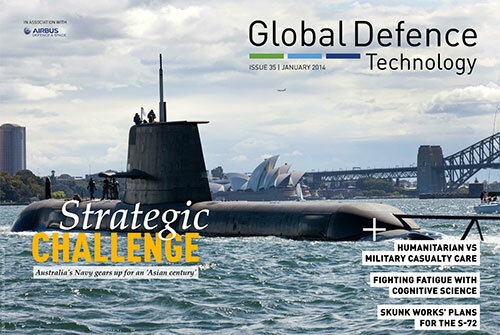 In this issue: Australia’s shifting defence spending priorities, military innovation made in Japan, the next stage of the British-French Future Combat Air System project, modernising IT for the UK MoD, what’s next for the Successor submarine programme and more. 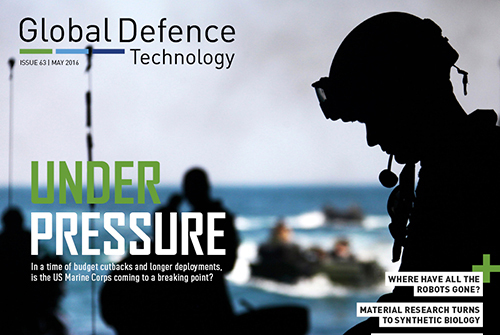 In this issue: The US Marine Corps under pressure, what’s holding back military robotics, investigating drone crashes, the potential of synthetic biology in new material research, detection tech for dirty bombs, and more. 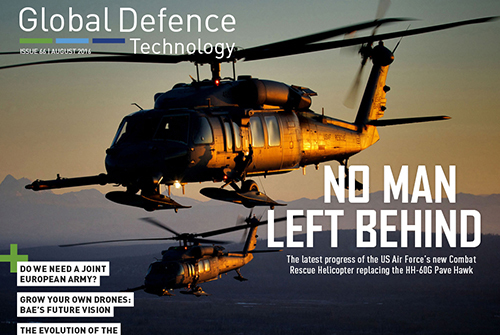 In this issue: The US defence budget for 2017, the case for consolidation in Europe, precision airdrops with the US military’s JPADS, the UK’s future flying training, the latest progress in the US Navy’s biofuels project and more. 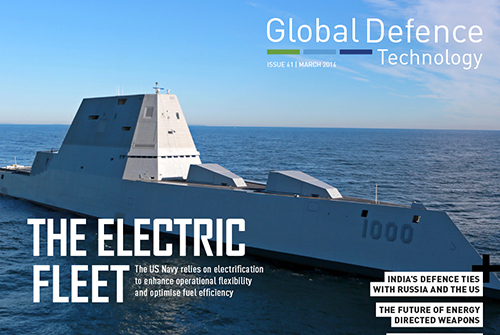 In this issue: India’s defence relationship with Russia and the US, the UK’s strategic shift, the future of directed energy weapons, improving connectivity at military bases, progress of the US Navy’s electrification programme, how the US Air Force is tackling violence and more. 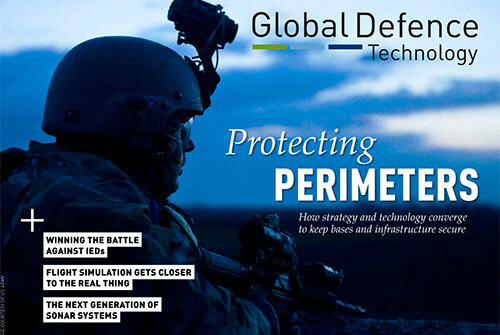 In this issue: Why the Pentagon opposes further defence industry mergers, a new technology to detect WMDs, the ground vehicle of tomorrow, contenders for the US Army’s next handgun, how the Warrior Training Alliance has transformed soldier training, the future of minehunters and more. 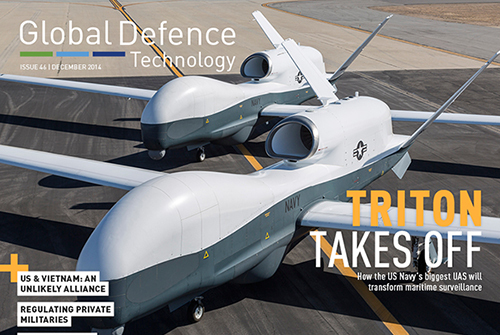 In this issue: How ISIS captured an arsenal of Western weapons and vehicles, the UK’s new frontline hospital, the future of Global Hawk, the US Navy counters hacking threats with traditional skills, and more. 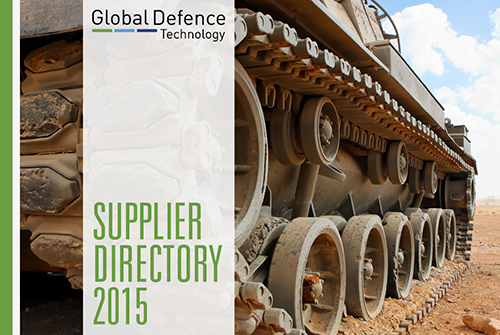 A directory of key product and service suppliers to the industry. 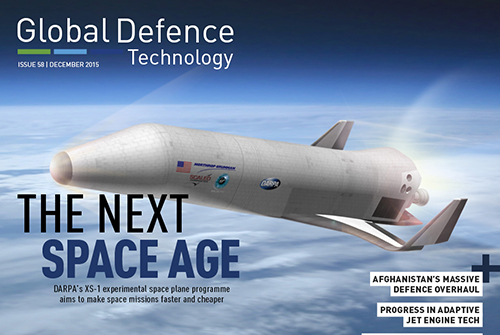 In this issue: Afghanistan’s military overhaul, the US Air Force’s adaptive jet engine, progress of the XS-1 space plane, Norway’s plans for collaborative submarine procurement, smart energy ideas for military bases and soldier systems and more. 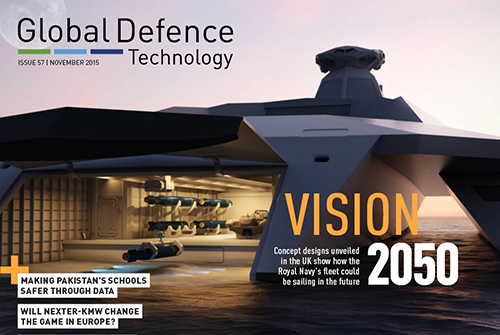 In this issue: Making Pakistan’s schools safer with predictive analysis, how the Nexter-KMW merger will change the game for armoured vehicles in Europe, replacing the Humvee, Australia’s $89bn domestic shipbuilding revival and more. 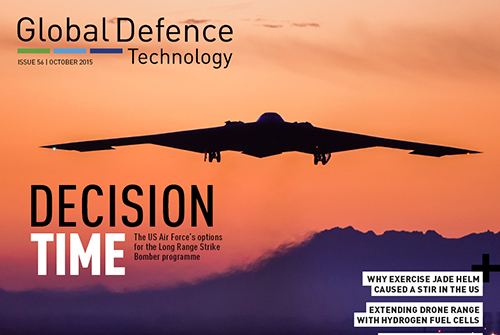 In this issue: Why exercise Jade Helm caused controversy in the US, a look inside the BFBS, decision time for the US Air Force’s long-range strike bomber, extending drone range with hydrogen fuel cells, the US Navy’s NIFC-CA capacity rolls out and more. 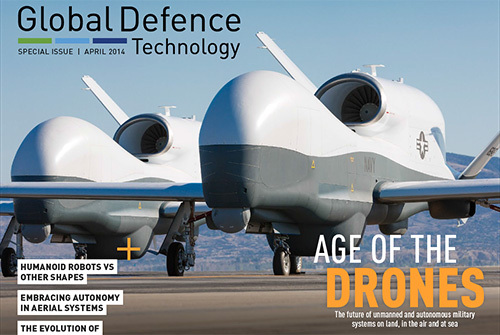 In this issue: The joint European MALE drone project, energy tech for forward operating bases, Skynet's strategic move to Asia-Pacific, behaviour prediction software as a counterterrorism tool, contenders for the US Navy's UCLASS programme and more. 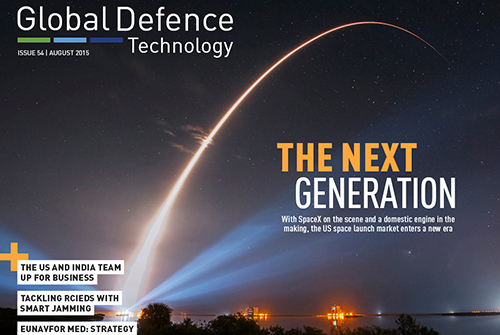 In this issue: A new era for the US space launch market, the US and India team up for business, tackling RCIEDs with smart jamming, insights into emerging IT challenges from IFS, the EU naval force mission against trafficking in Libya and more. 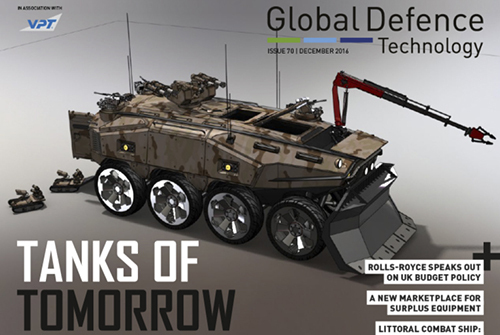 In this issue: Defining a defence strategy for the UK, the race is on for Land 400, the politics behind Israel’s David’s Sling programme, the news from Paris Air Show, the US Navy’s new littoral tech trinity and more. 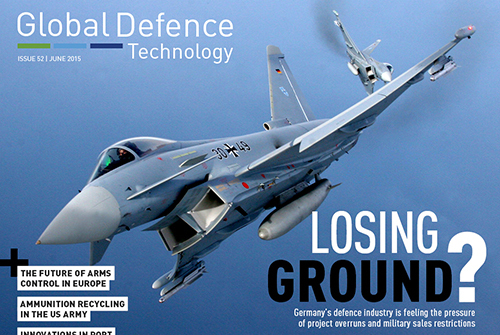 In this issue: The future or arms control in Europe, times of trouble for Germany’s defence industry, the US Army’s ammunition recycling project, innovations in port security technology and more. 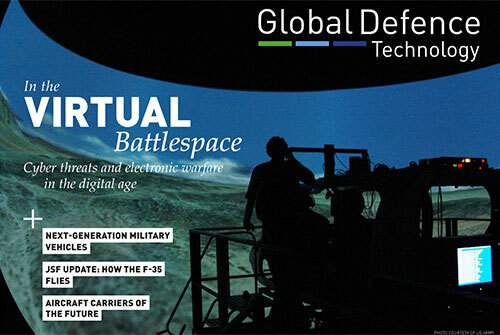 In this issue: France reconsiders its defence budget, he UK's new virtual cyber centre of operations, success stories in landmine clearance, Australia's F-35 trouble, building warships in virtual reality and more. 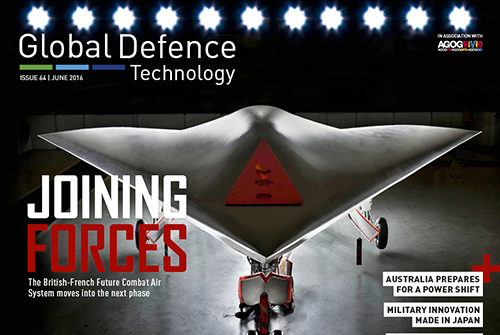 In this issue: Simulation training steps up a gear, progress in micro UAVs, potential replacements for the UK's Nimrod programme, Canada's navy at the crossroads, the evolution of the LCS and more. 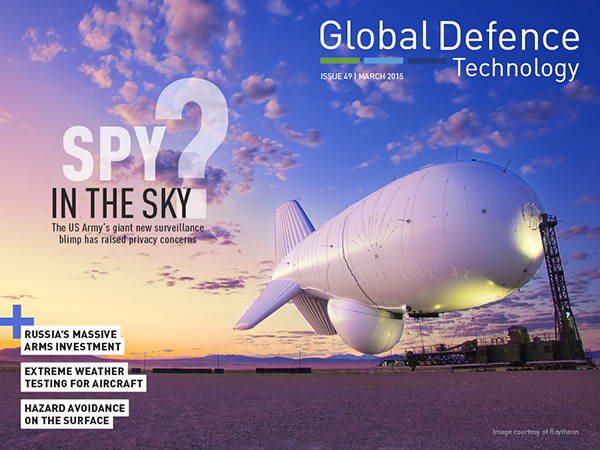 In this issue: Russia’s massive arms investment, a look inside the extreme weather testing facility for military aircraft, why the US Army’s JLENS surveillance blimp is causing privacy concerns, adapting the US Navy’s submarine hazard avoidance tool for surface vessels and more. 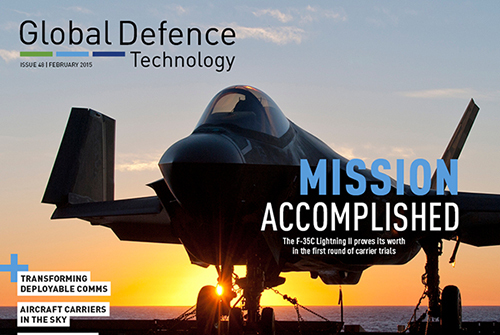 In this issue: the F-35C proves its worth in carrier trials, transforming deployable communications for the NATO Response Force, Raytheon’s ISR software brings big data processing to laptops, DARPA’s call for aircraft carriers in the sky and more. 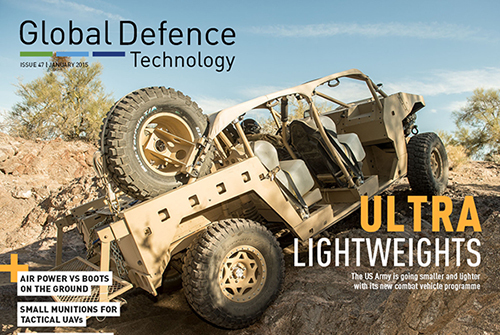 In this issue: Winning a war without boots on the ground, the US Army’s search for a lightweight armoured vehicle, a timeline of fusion power experiments, a new wave of mini weapons for tactical UAS, why today’s advanced naval ships can be run by ever smaller crews, and more. 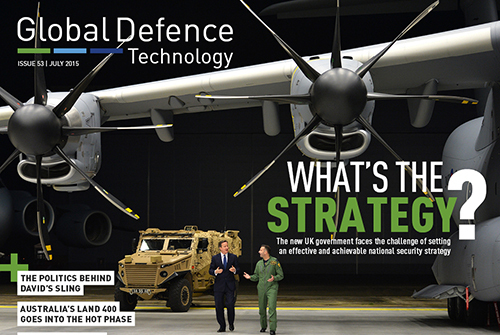 In this issue: The strategic thinking behind US-Vietnam reconciliation, boosting simulation technology with an open-source approach, the problem of regulating private militaries, the market potential of Textron AirLand’s Scorpion budget fighter, how the Triton UAS could transform maritime surveillance, Australia’s U-turn on domestic-built submarines and more. 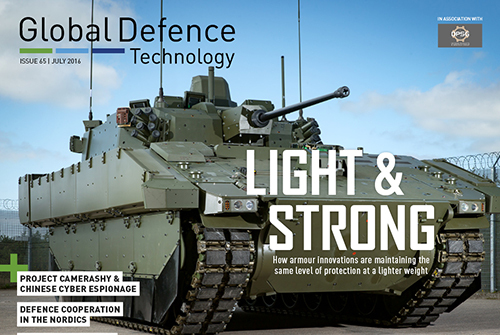 In this issue: Boosting European land defences against Russian tanks, innovative body armour from head to toe, the British Army’s contribution to the Bloodhound supersonic car, missile defence for commercial airliners, the benefits of quantity vs quality in modern naval fleets, and more. 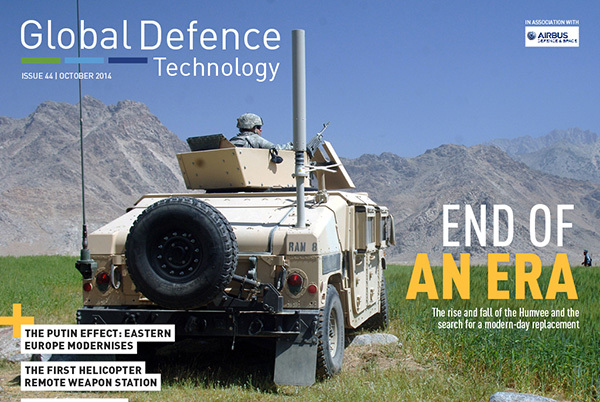 In this issue: The Putin effect on land defence modernisation in Eastern Europe, the rise and fall of the Humvee, BAE’s new soldier power system, the first fully robotic remote weapon station for utility helicopters, the US Navy’s Electromagnetic Aircraft Launch System takes off, and more. 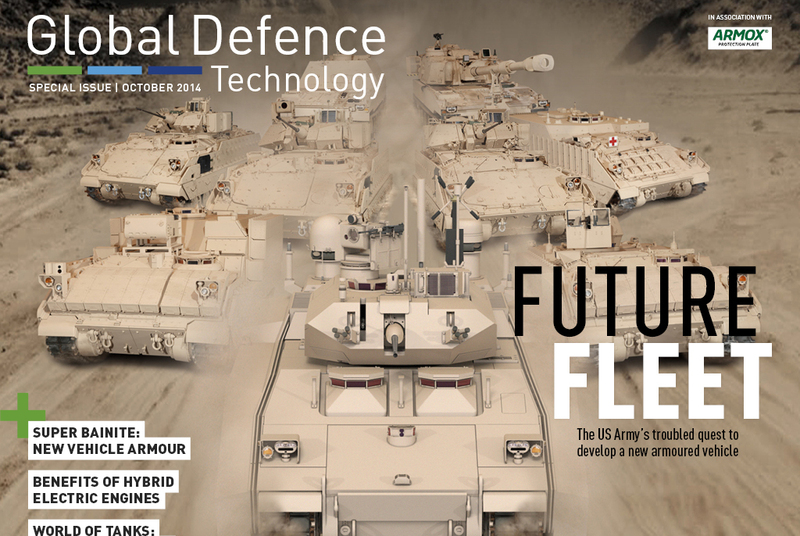 Future fleets: The US Army's troubled armoured vehicle programmes, virtual reality tools for mlitary vehicle design, the benefits of hybrid electric engines, vintage tank restoration with Wargaming and more. 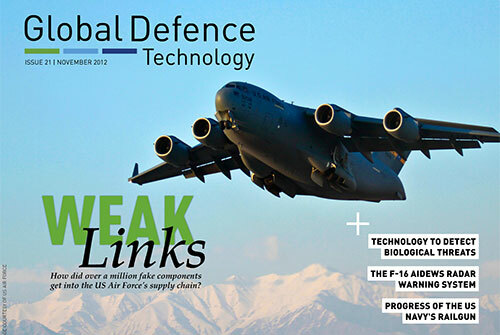 In this issue: The US military’s green energy research, advances in regenerative medicine for injured soldiers, the US Air Force’s vintage bomber upgrades, optionally manned capabilities for legacy systems, the BMD potential of the Type 45’s Sampson radar and more. 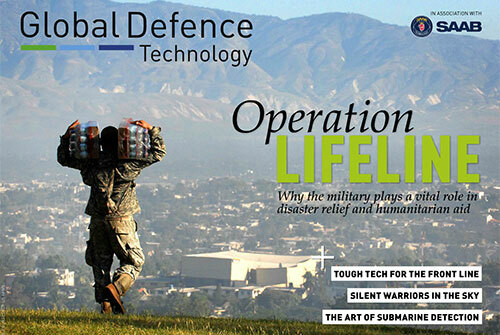 In this issue: The challenges military medics face in humanitarian casualty care, how researchers are fighting soldier fatigue with cognitive science, Lockheed Martin Skunk Works’ plan for the SR-71 spy plane successor, the world’s most advanced fighter jets, how the Australian Navy is boosting its fleet with upgrades and new procurement and more. 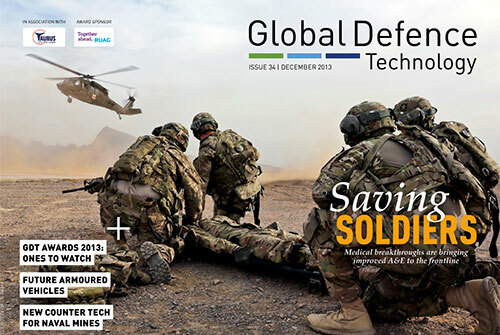 In this issue: How new medical technology is bringing A&E to the front line, the GDT Awards 2013, the armoured vehicles of tomorrow, bio-inspired locomotion for military robotics, new counter tech for rogue UAVs, countermeasures for naval mines, a new approach to catching small pirate vessels and more. 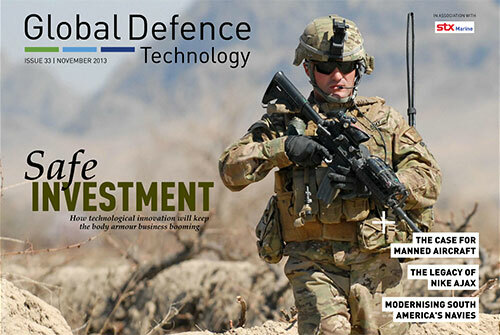 In this issue: How technological innovation will keep the body armour market booming, mine hunting with bees, how the legacy of Nike Ajax has transformed air operations in the last 60 years, naval modernisation in South America, a look at the P-8A Poseidon, the decommissioning of USS Enterprise and more. 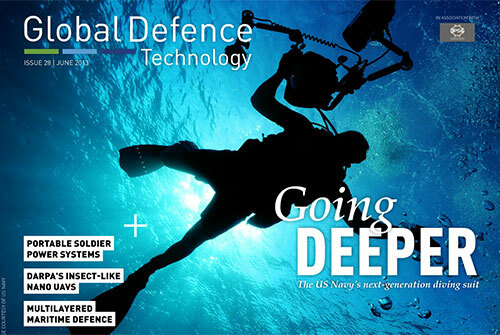 In this issue: New research into unmanned systems for naval operations, how robots are becoming more autonomous, Nato's integrated air command and control system, how companies are using simulation technology to build tailored air defence systems, a new digital tool and smartphone app that helps support PTSD treatment and more. 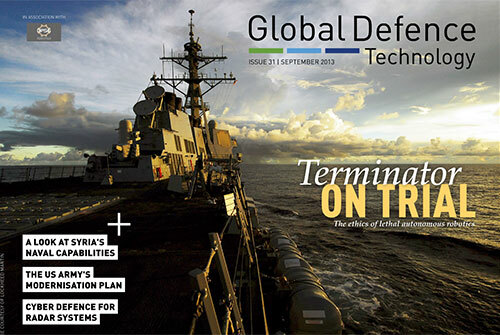 In this issue: The ethics of lethal autonomous robotics, Syria’s naval capabilities, the US Army’s equipment modernisation plan, cyber defences for radar systems, new progress on the UK’s Successor class and more. 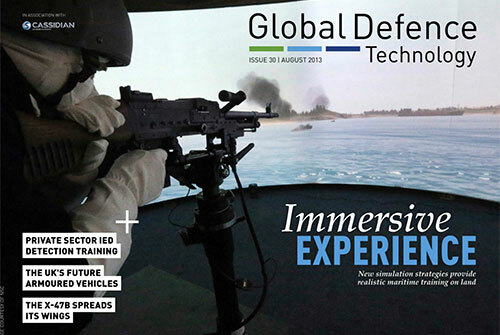 In this issue: New simulation technology for marine training, the trend of outsourced counter-IED training, the future of the UK’s armoured vehicle fleet, the latest upgrades to the AH-64 Apache, new milestones in the A400M development, the X47B unmanned combat air system demonstrator and more. 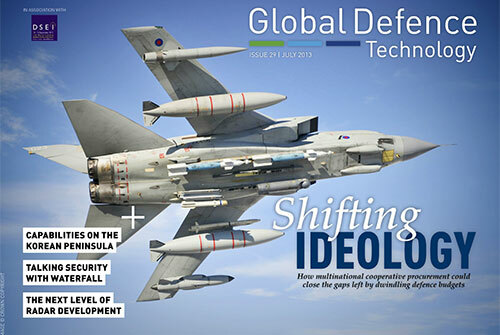 In this issue: How multinational cooperative procurement could close the gaps left by dwindling defence budgets, military capabilities on the Korean Peninsula, critical infrastructure protection in the digital age, the next level of radar development, how the Scottish independence vote could affect defence provisions in the UK and more. 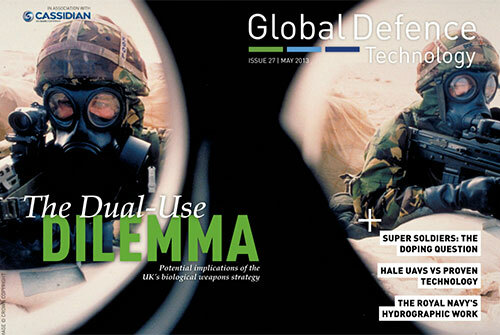 In this issue: The UK's ongoing role in nuclear disarmament and non-proliferation, the Australian military's plan to protect the country's mineral resources, why investment in portable power solutions for soldiers is declining despite recent breakthroughs, DARPA's insect-sized UAVs, the US Navy's next-generation diving suit, Raytheon's vision for multilayered maritime defence and more. 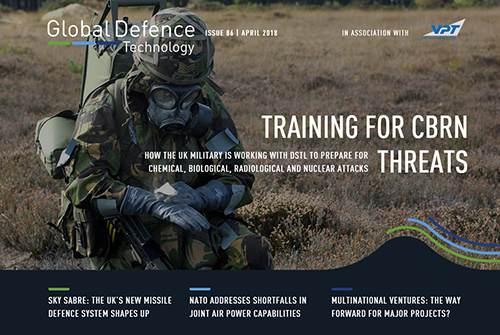 In this issue: Implications of the UK's Biological Non-Proliferation Programme, the UK's largest virtual simulation soldier exercise, the controversy surrounding performance enhancing drugs, the capabilities of HALE UAVs vs proven existing technology, the Royal Navy's hydrographic work and more. 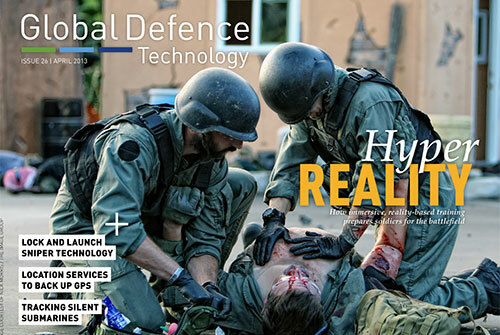 In this issue: Hyper-realistic battlefield training, lock and launch sniper technology, the Aeroscraft vertical cargo blimp prototype, positioning systems to back up GPS, unmanned vessels for the long-term tracking of submarines, Iran's fast attack craft fleet and more. 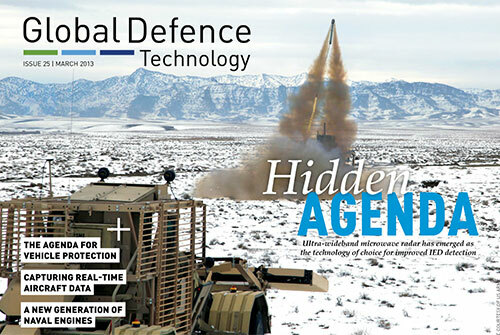 In this issue: Ultra-wideband microwave radar for improved IED detection, the future agenda for vehicle protection, new developments in ballistic protection, a smartphone app to capture real-time aircraft data, the trend for heavily armed small vessels, a new generation of naval engines and more. 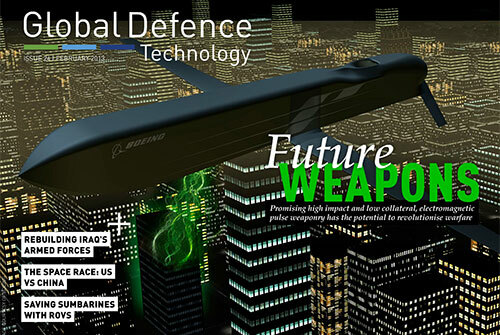 In this issue: Electromagnetic pulse weapons, crowd-sourcing DARPA's FANG programme, the USAF's all-stealth fleet plans, Boeing's X-37B vs China's Shenlong, a submarine rescue manual inspired by the Astute grounding and more. 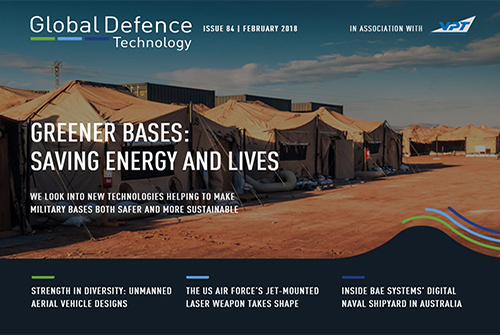 In this issue: The benefits of European Defence Agency exercises, gun-mounted soldier system controls, battlefield ready biometrics, the latest research into power conservation for UAVs, the US Navy's littoral combat ship under scrutiny and more. 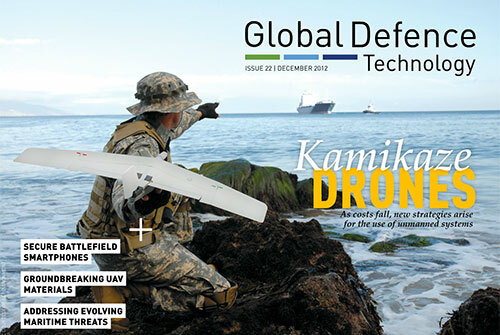 In this issue: Why Obama's diplomacy is needed in the Middle East, a new generation of kamikaze drones, battlefield smartphones, groundbreaking materials for super-light UAVs, trends in piracy and countermeasures and more. 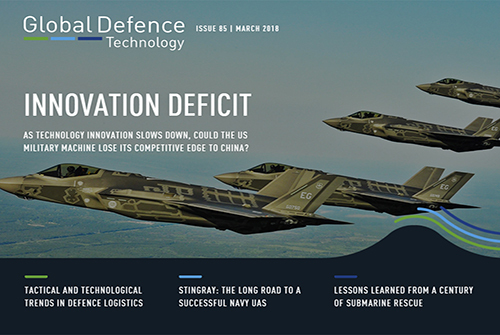 In this issue: How over one million counterfeit parts infiltrated the US Air Forces' supply chain, new technology to detect biological threats, the F-16 AIDEWS radar warning system, ups and downs of the US Navy's electromagnetic railgun programme and more. 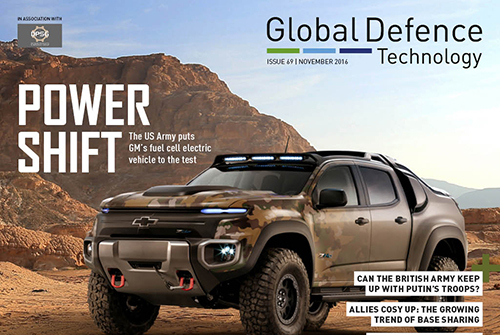 In this issue: The role of government-industry collaborations in military aerospace projects, a tour of the Hawkei prototype, the US looks toward sixth generation fighters, noise reduction technology for jet engines, WMD detection at sea and more. 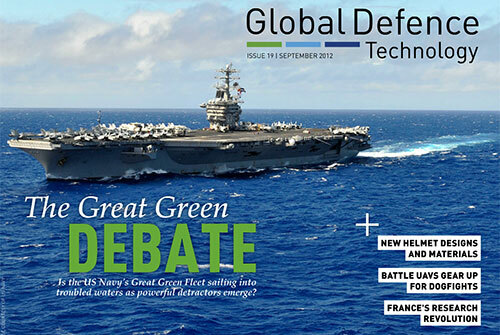 In this issue: The US Navy's Great Green Fleet in stormy political waters, France's lightweight Hercule exoskeleton, new helmet designs and materials, rise of the dogfighting drones and more. 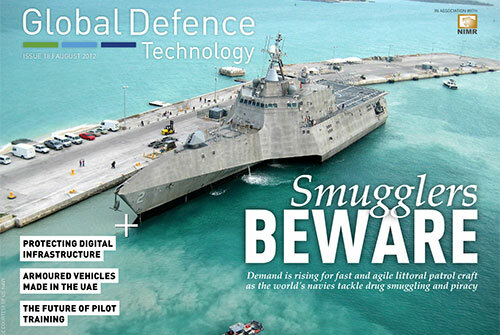 In this issue: Top vessels for littoral patrol, protecting digital infrastructure, armoured vehicles made in the UAE, the future of pilot training and more. 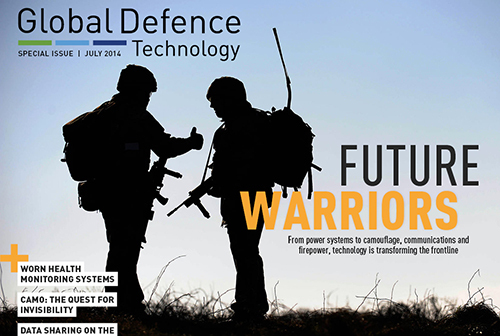 In this issue: Mind-controlled weapons - sci-fi or fact? 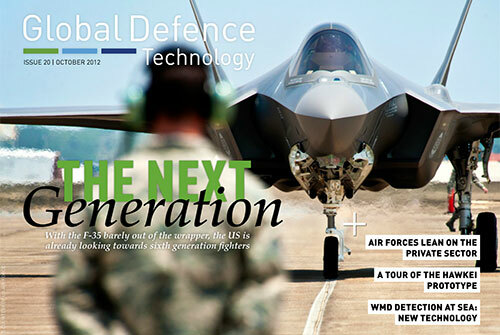 Plus: Situational awareness tech for frontline soldiers, Asias race for early warning tech, the UKs carrier saga continues and more. 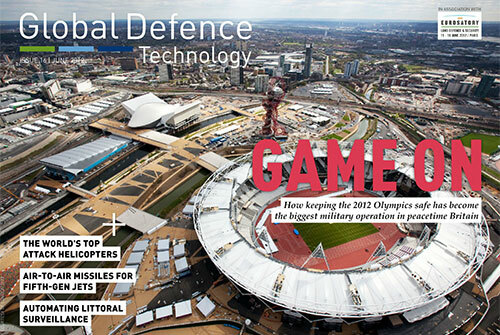 In this issue: The British militarys Olympic security effort, top helicopter gunships, the technology behind fifth-generation fighter air-to-air missiles, automated coast guards and more. 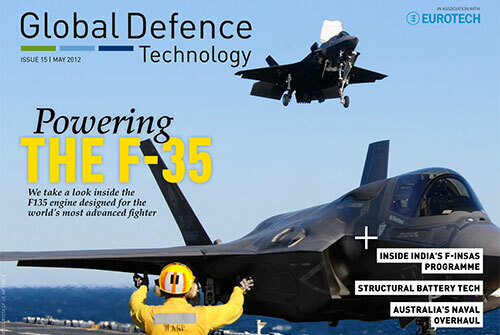 In this issue: Indias F-INSAS programme, top ten energy-saving tech, the F-35s F135 engine from concept to testing, Australias urgent naval upgrades and more. 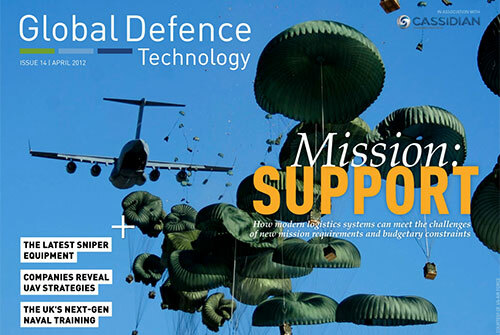 In this issue: Mission: Support - How modern logistics systems can meet the challenges of new mission requirements and budgetary constraints. 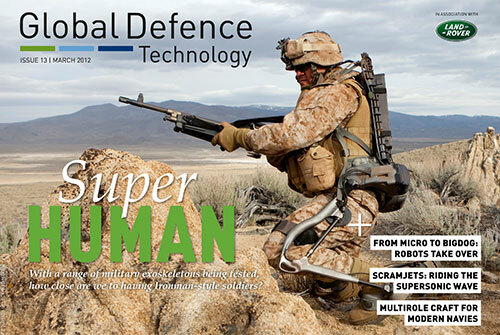 In this issue: With a range of exoskeletons suits now being tested, how close are we to having Ironman-style soldiers? 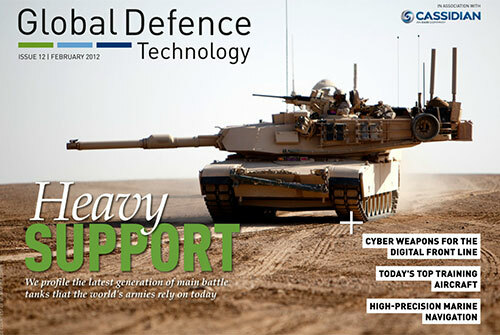 In this issue: Going on the cyber offensive, top third-gen tanks, leading air force training aircraft, high-precision naval navigation and more. 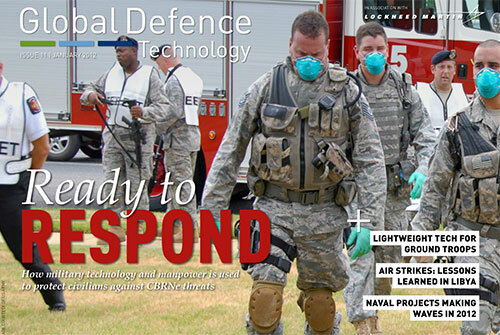 Ready to Respond: How military technology is used to protect civilians from potential terrorist threats. 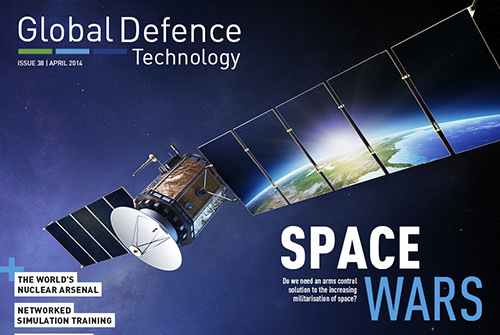 Race for Space: Europe aligns military and civilian resources to take the lead in space-based defence. 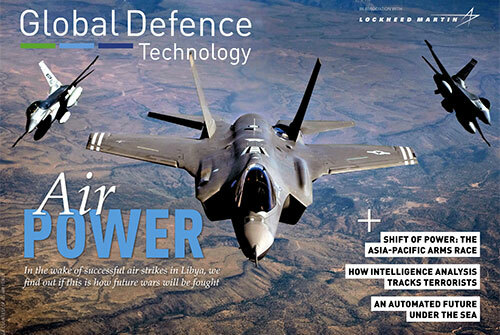 Air power: We find out if the success of air strikes in the Libya conflict are an indication of how future wars will be fought. 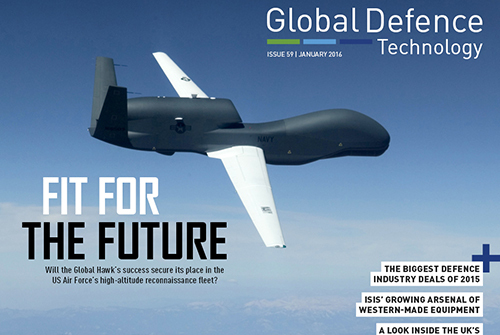 Eyes to the sky: We look into the future of unmanned aircraft technology. 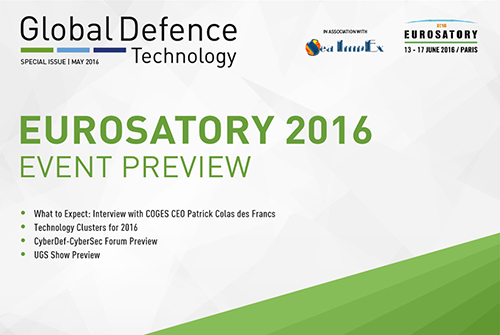 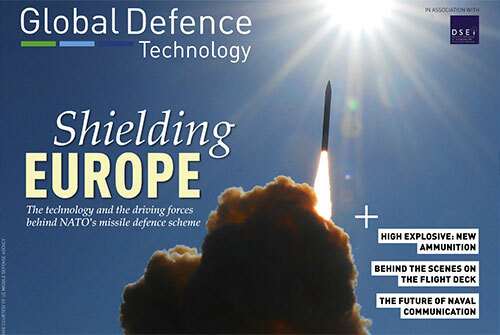 Shielding Europe: The technology and the driving forces behind NATOs missile defence scheme. 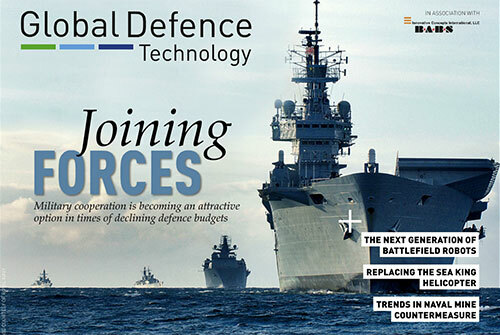 Are joint forces the future? 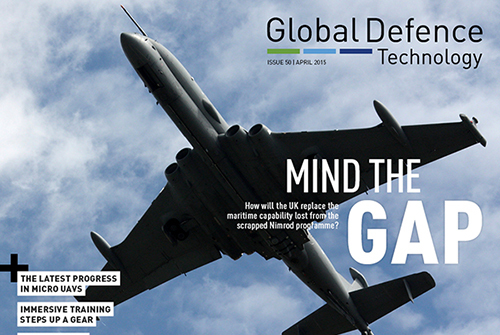 We look at military markets and the consequences of defence budget cuts. 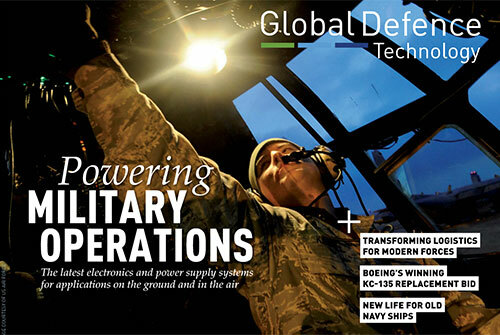 Powering military operations: We look at the latest technology in military electronics and power supply systems. 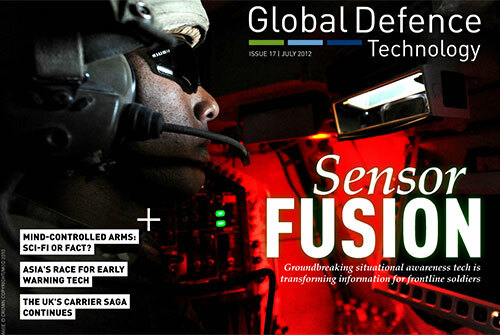 Defusing the dangerous: We look at new technologies for the deactivation of improvised explosive devices. 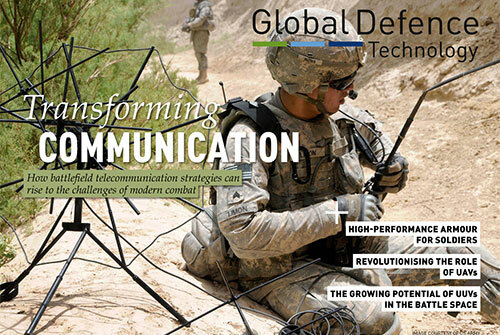 Transforming communication: How battlefield communication strategies can rise to the challenges of modern combat. 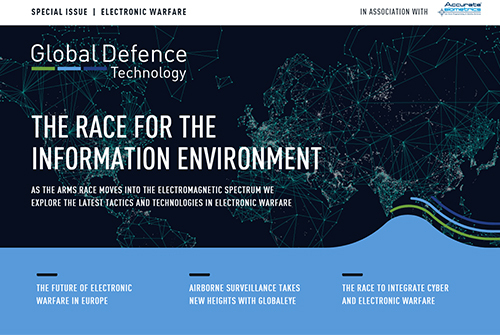 In the virtual battlespace: We look at cyber threats and electronic warfare in the digital age. 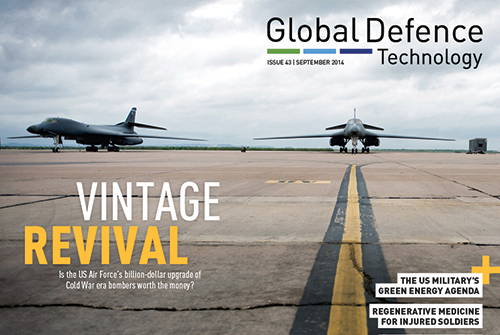 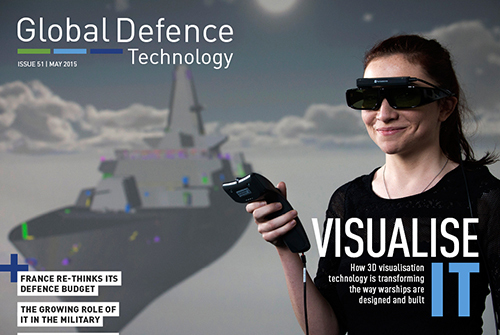 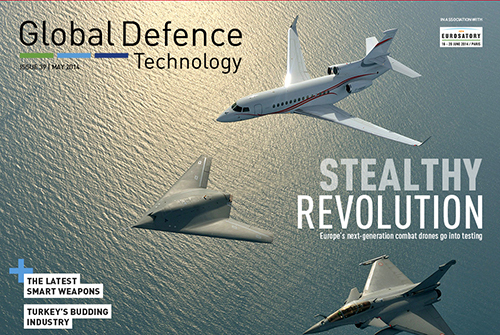 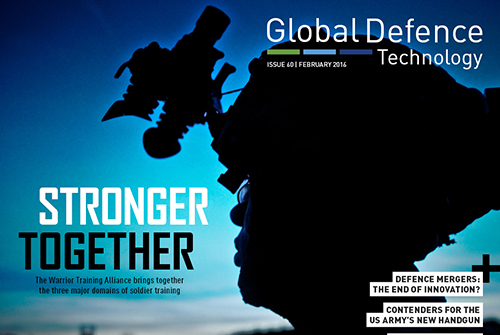 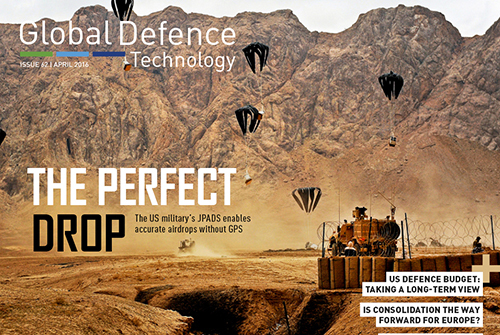 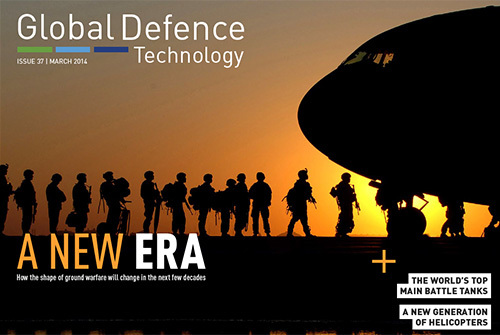 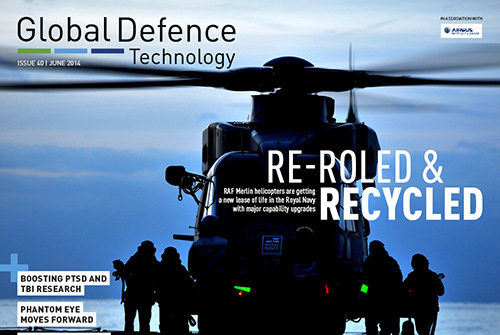 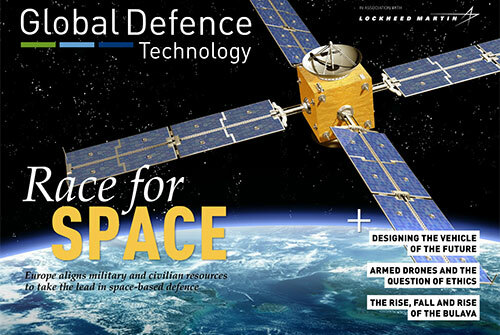 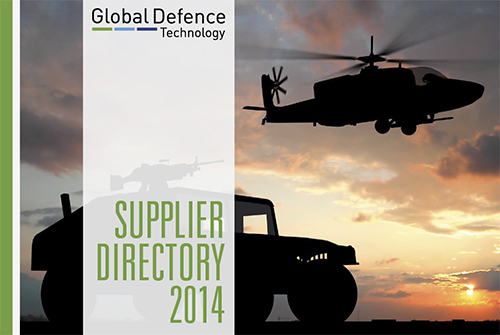 Global Defence Technology is a digital magazine offering informative, in-depth coverage of the defence industry in an exciting, interactive format. 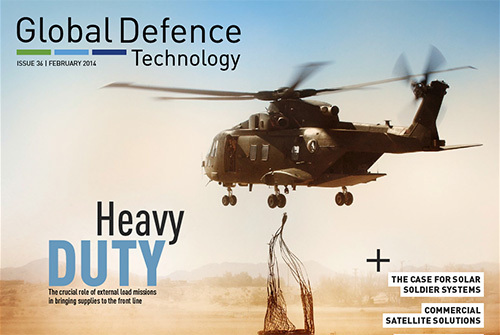 Published monthly and brought to you by an experienced editorial and design team, GDT is the essential magazine for decision-makers wanting up-to-date defence industry news and analysis.